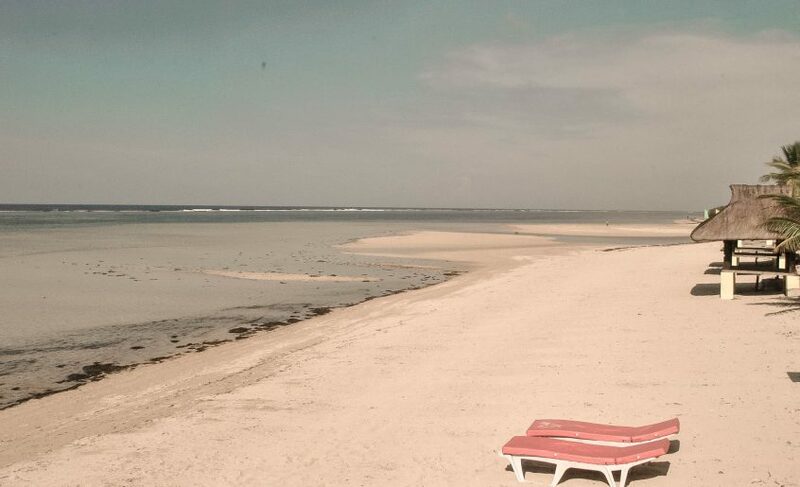 The bucolic appeal of Bolinao makes it an impeccable weekend escape from the hustle and bustle of the metropolis. 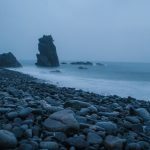 Located in the province of Pangasinan, its coastline was shaped by the waves smashing against the rocks for eons of years. 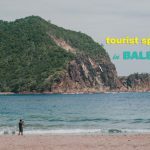 Whether you want to watch a dreamy sunset, plunge into the emerald green waterfalls, or frolic in golden-sand beaches, Bolinao tourist attractions never fails to impress. 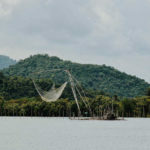 This pristine beauty is clad by dense green jungle and boasts of placid emerald green waters. 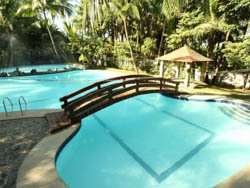 What better way to enjoy it than taking a dip in its refreshingly cool waters? Built some 400 years ago by the Augustinians, the Parish of St. James features a stone façade and Mexican-inspired altar. 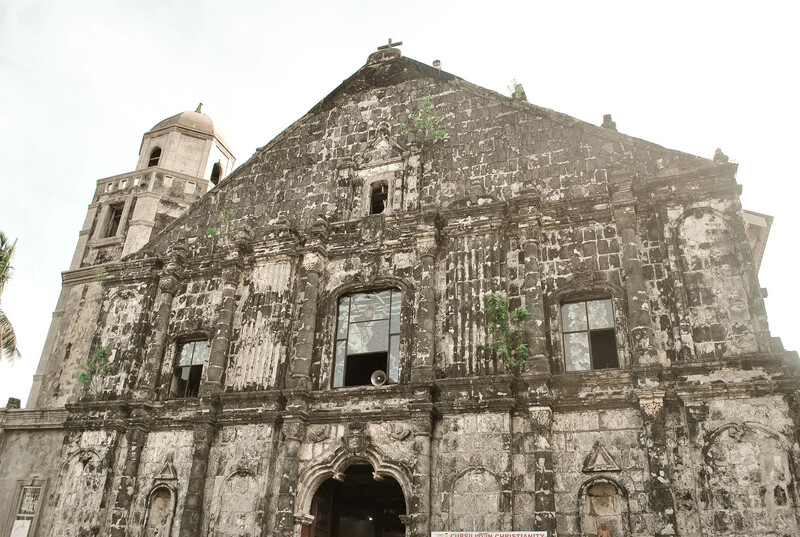 This modest old colonial church may not be as stunning as other old Spanish churches in the Philippines but it certainly has a handful of interesting attributes. Devotees lighting candles and saying prayers at the images of saints enshrined at the church is a usual sight. 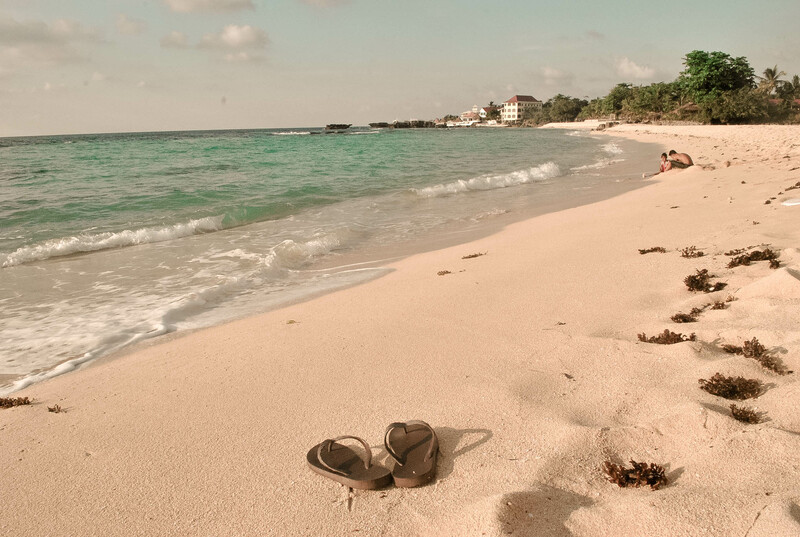 What makes the iconic Patar White Beach seductive is its powdery golden-sand, sun-kissed azure waters and the jovial locals lounging here. Its shoreline is dotted with cottages for rent and modest stores selling varied goods. Laze by the shore and meet the children playing around at late afternoon, a wonderful way to observe the humble lifestyle here. Early in the morning, vendors fringed the spot outside the St. James Church. 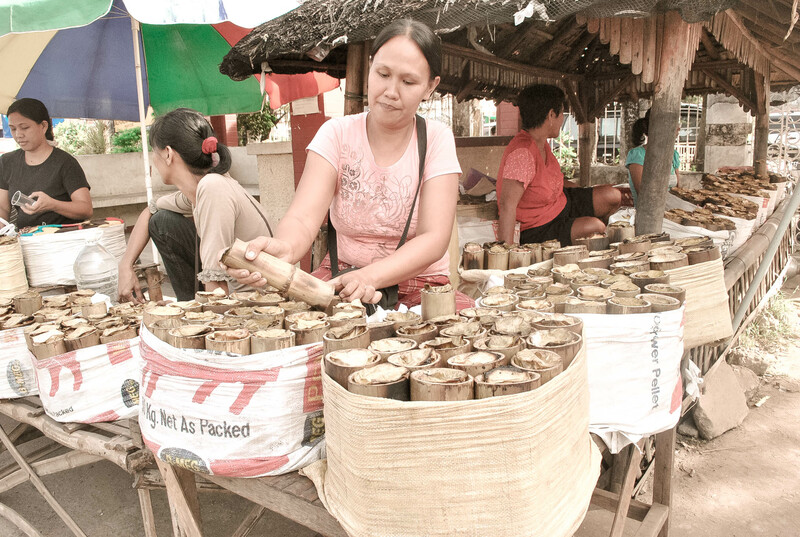 They sell binugoy (also binungay), a delicious local delicacy. It is made of sticky rice poured into the bamboo stick prior to cooking. 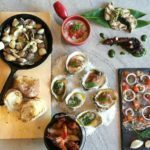 Do not leave without tasting the best of Pangasinan food like bangus (milk fish), lomi (noodles) and their iconic longganisa. 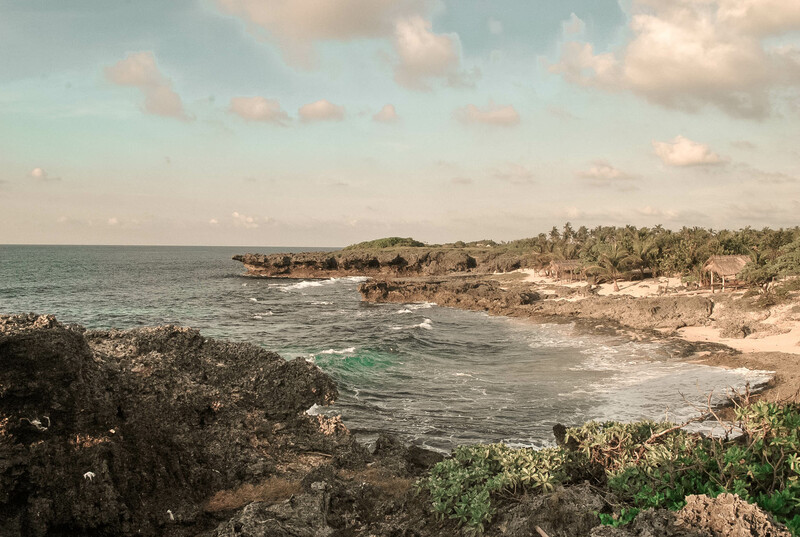 Relish serenity and feel nature connecting to your soul at Patar Rock View Beach This stunning beauty is where the rapture of the waves collides with the rocky cliff, creating a scenic setting. Pack your cameras and delve into the soaring Cape Bolinao Lighthouse, a top tourist attraction in Bolinao. Located a few meters away from Patar White Beach, this lonely sentinel offers a scenic bird’s-eye-view of its surroundings. 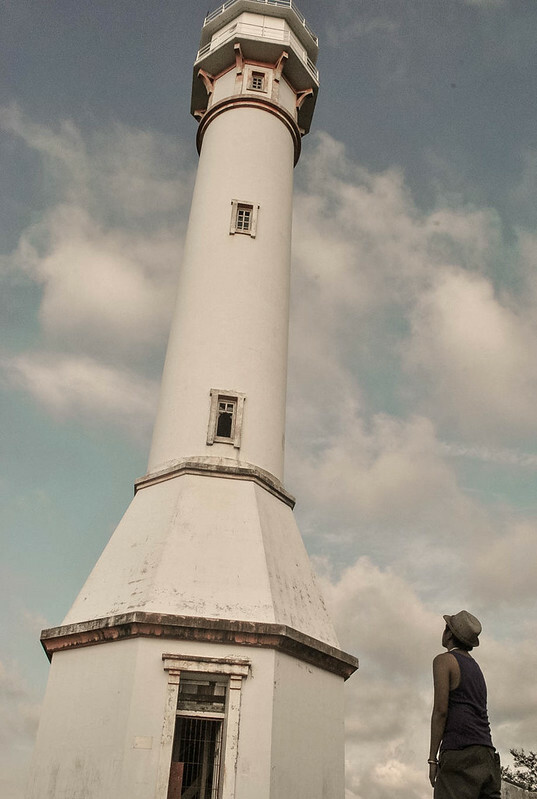 The picturesque lighthouse is one of the tallest in the Philippines and is a great spot for photo op. 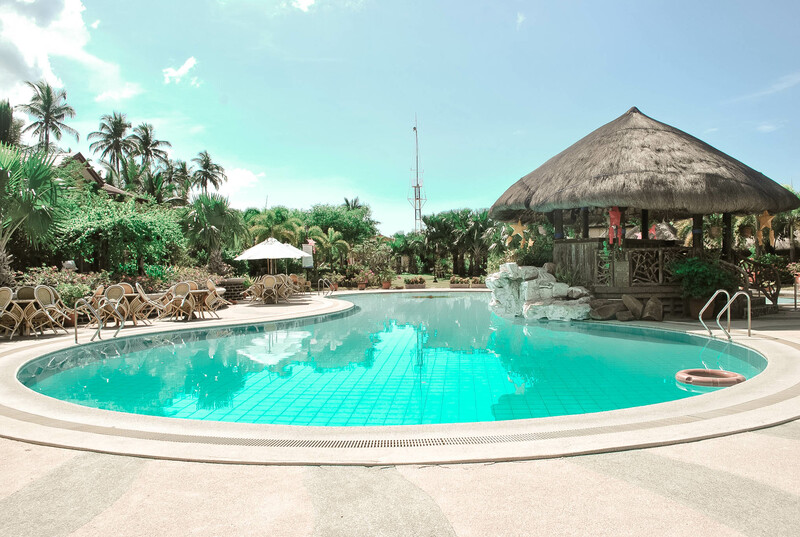 The sea-kissed sanctuary with gates leading to a tranquil beach offers a perfect view of the legendary Bolinao sunset. The indulgent pool lined with loungers and parasols is nestled right in the middle of the Italian-inspired villas clad by a meticulously manicured garden. 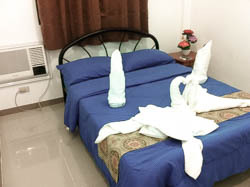 It is adorned with iconic religious statues and grandiose image of Mother Mary in different shades of blue creating a Mexican culture atmosphere. Nab a spot by the shore at dusk and soak in the beauty of the sunset that will surely soothe your soul and be enticed by vivid scenery that you will keep coming back to. 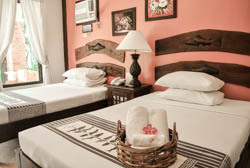 Book a room in Puerto del Sol –> HERE. Bolinao is really a beautiful place! 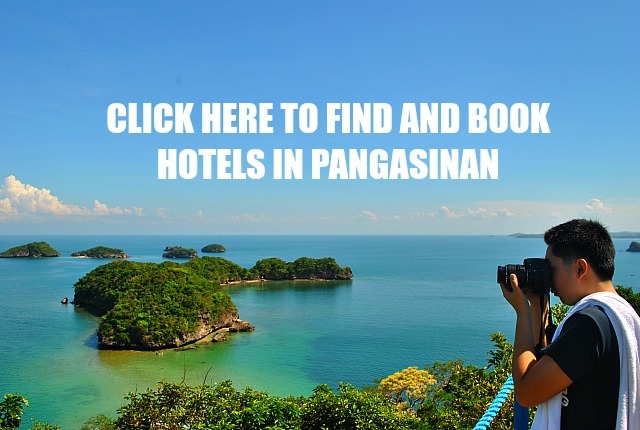 I am not sure if this is the proper forum for inquiries, but was hoping if you could help me find a beach front house for rent in Patar Beach Pangasinan? 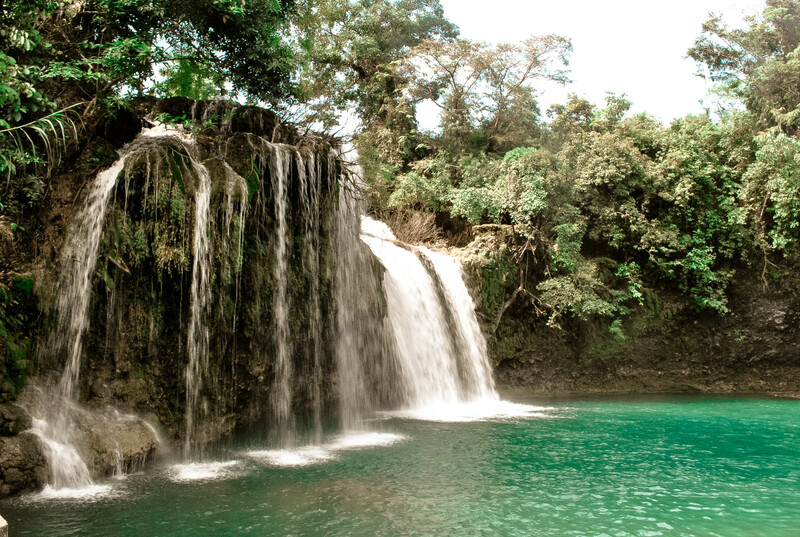 can we pitch a tent or camp near bolinao waterfalls? We went to Bolinao but we haven’t seen the falls on your first photo. where is it located?